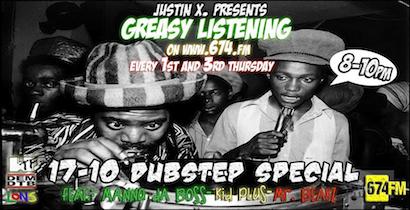 Tune in to GREASY LISTENING for a Dubstep Special featuring KidPLUS & Mannu da Boss ….hosted by Mr. Beakz !!! Still ain’t easy bein’ greasy !! !